Perfect hostel with really good services proposed. Availability of the employees perfect. Nice international atmosphere with lots of backpackers. As they have many rooms, bed, they should have more wc. Concerning bathroom, it is under construction to have extra ones. Nice common area inside and outside. Good quality of beds and litery. Coffee and tea for free. Fridge with drinks available/payable. Great place, wonderfully nice people! I recommend it! Je recommande cette auberge de jeunesse. Les espaces communs et les chambres sont propres, il y a plusieurs terrasses pour profiter du beau temps. Nous y avons passe de bons moments. Gracias!!! ... It was a good spot in "El Poblado"... 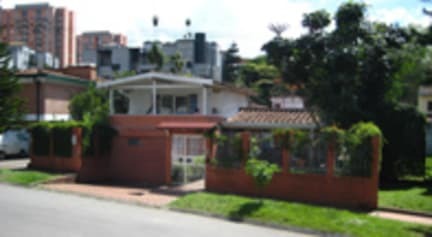 Either you are closed for nightlife without being "inside" and they proposed very good tours to Guatapé, around 2 hours from Medellin "vanporcolombia" or Comunia 13... Warm Welcome Team!! 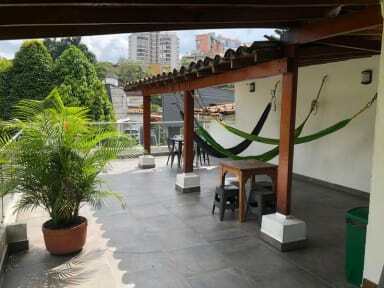 Very clean hostel located in a nice area. Friendly and helpful staff. Only drawbacks are the lack of AC and the lack of atmosphere, wouldn't recommend too much for solo travellers. By the way, you HAVE to do the "real city tour", this will change your life, trust me. Superbe ambiance et personnel ultra sympathique et propose une tonne d'activités. Emplacement un peu louin du centre, mais proche du exito, metro et de petits restaurants pas cher. Je recommande fortement! Great location. Friendly staff helps us to do good activities. The dau trip to Guatapé with Raga is an amazing day. There is a grocery store close to the hostel. Good hostel, under a bit construction when we were there. Really close to the bars / restaurants of El Poblado. Good outside areas, with lots of space to hang around.